Dr. Nima Mashkouri defines and shapes his role in dentistry by ensuring patients are both healthy and happy. Open communication is encouraged by his warm, friendly personality and his authentic consideration for every person's needs. He works efficiently and effortlessly to make each visit a pleasant one, all while his patients are able to relax comfortably in a stress-free environment. 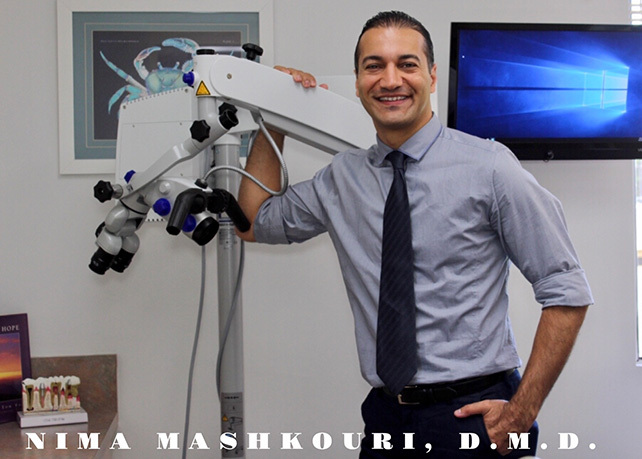 Having grown up in Southern California, Dr. Mashkouri attended University of California, Irvine where he received a Bachelor of Science degree in Biological Sciences. He went on to receive his Doctorate of Dental Medicine from the prestigious Tufts University, School of Dental Medicine in Boston, MA. With a goal of mastering the art of cosmetic dentistry and smile design, he completed a Comprehensive Esthetic Dentistry residency program in Los Angeles. Dr. Mashkouri further continued his dental education by enrolling into a residency program in Endodontics at Texas A&M University Baylor College of Dentistry in Dallas, thus becoming an expert in root canal therapy, trauma, emergency and sports dentistry. Dr. Mashkouri’s passion for teaching led him to join the clinical faculty at Arizona School of Dentistry and Oral Health, and later at USC School of Dentistry. He has mentored many dental students and residents in the areas of restorative dentistry, dental emergency and Endodontics. Throughout his career, Dr. Mashkouri has been vigorously expanding his dental knowledge and clinical skills as he has attended countless hours of continuing education courses, seminars and conferences across the country. 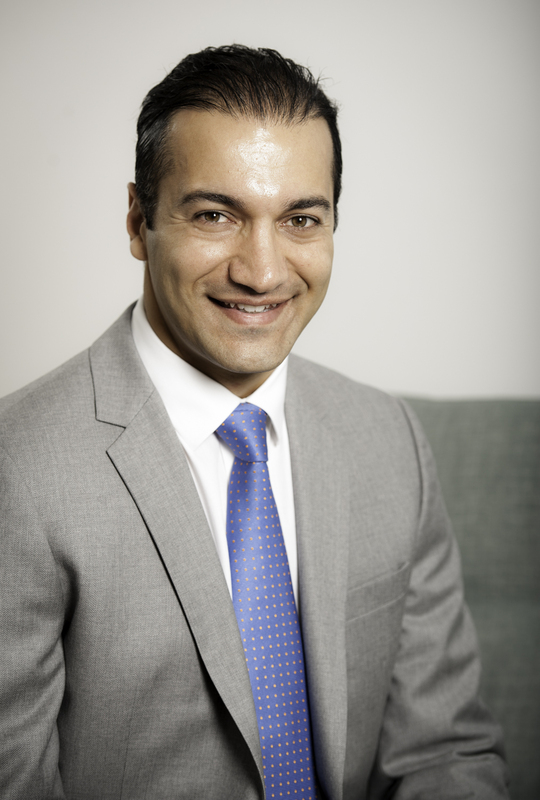 Having years of clinical experience in the practice of dentistry, and a robust educational background in both cosmetic dentistry and Endodontics, Dr. Mashkouri is able to provide a multifaceted dental care for his patients enabling them to make well-informed decisions in securing their long-term oral health.